Activities include games, crafts, snacks, Easter Egg Hunt and Story. 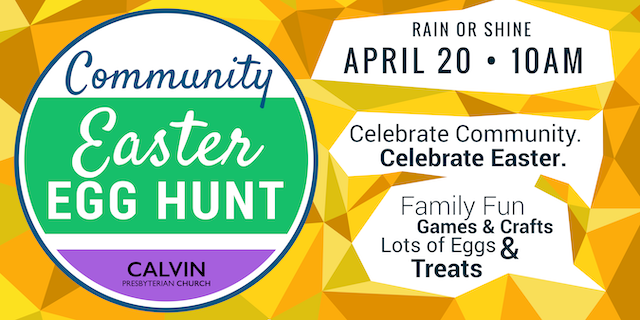 Bring Easter baskets, wear play clothes and boots! Canned food donations accepted.